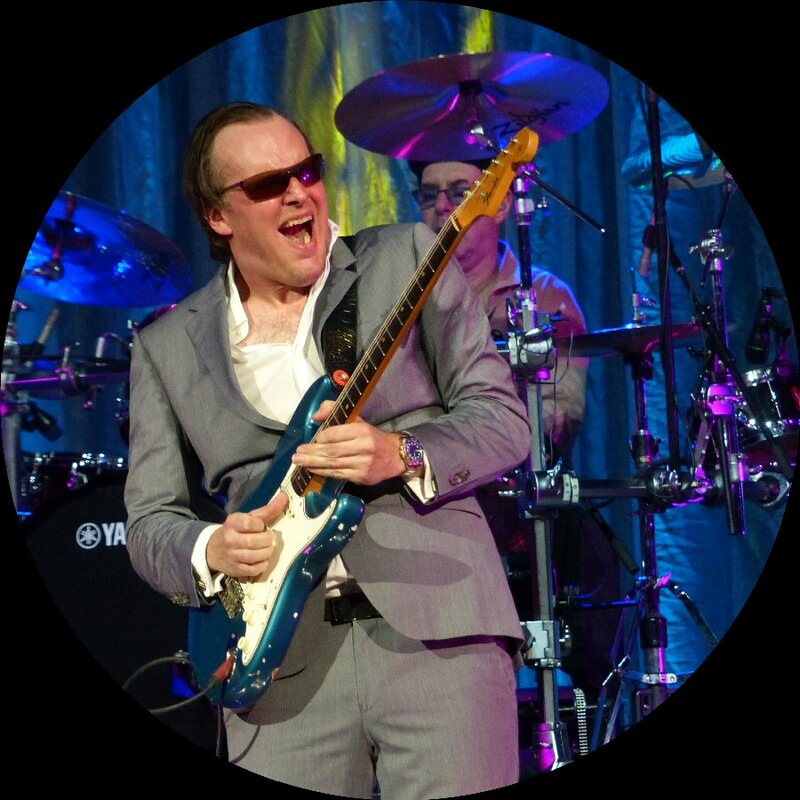 Guitar god Joe Bonamassa has built his musical career in the same way as many of the major religions of the world have done - by recruiting one fervent follower at a time. As such, over the past decade Joe has gone from musical vagabond of the blues playing every backwater bar and small town shack to become one of the genre's shining lights now regularly performing at the world's most hallowed halls year in and year out. Joe returned to the legendary Ryman Auditorium aka The Mother Church of Country Music (Nashville, TN) in 2015 for a two-night engagement on November 16th and November 18th. Joe is either always on the road or in the recording studio thus this blues rock artist has earned the right to play at prestigious venues such as Radio City (NYC) and Royal Albert Hall (London). 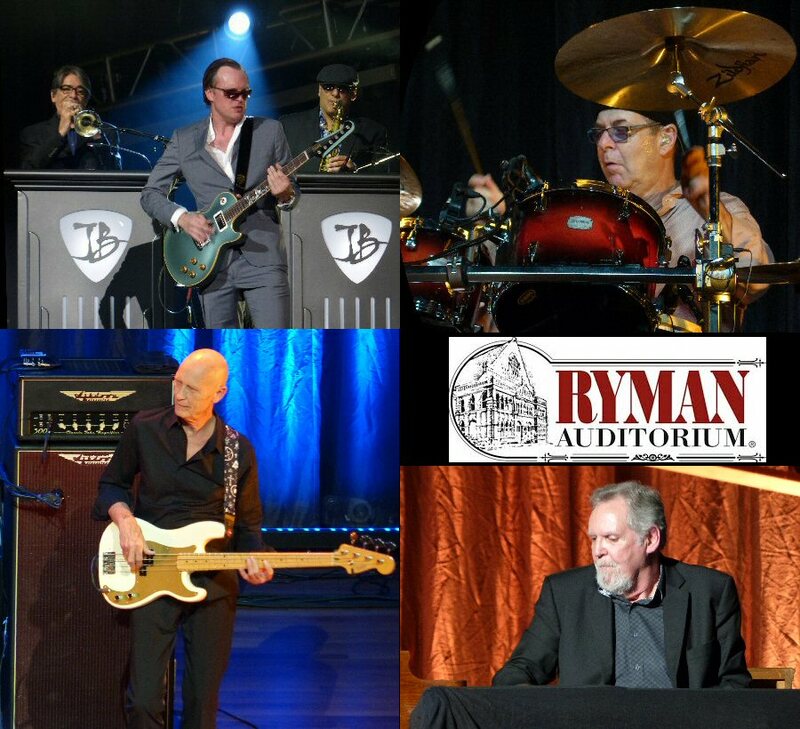 During Bonamassa's Monday night show he shared that the Ryman was on his bucket list and he was honored to be back since making his debut there in 2014. He also mentioned that he has spent more time in Nashville this year than at his California home which could mean another album is in the works. The Ryman Auditorium has a rich history. It is considered by some to be one of the best sounding rooms in America. The Ryman has stained glass windows along with wood pew seating as a reminder that it was a church in its first incarnation but the lighting and sound systems are modern. As is Joe's custom he was smartly dressed in a matching jacket and slacks along with dark shades. Joe and his talented team opened with "See See Baby". On this tour Joe has a saxophonist (Paulie Cerra) and a trumpet player (Lee Thorburg) to add accents to Bonamassa's blues gospel. The band stuck with the blues rock theme for "Never Make Your Move Too Soon" and "Angel of Mercy". Both where enhanced by bold rhythms from the well-respected Anton Fig (drums) along with Michael Rhodes (bass). 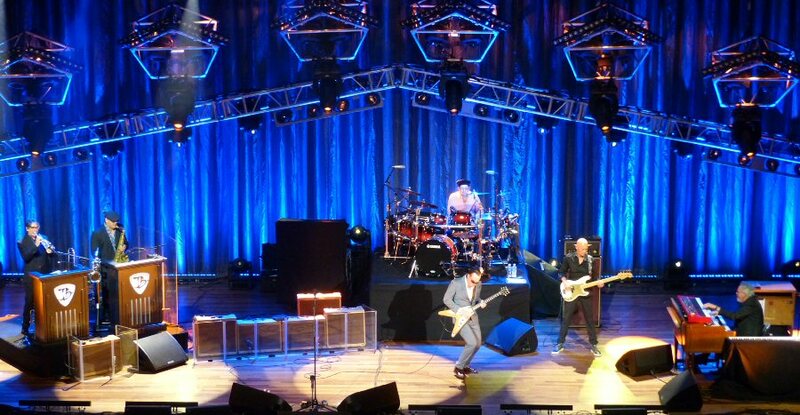 Monday's set list was expansive and quite different from other Bonamassa shows we have seen in the past. This one was noticeably more bluesier and influenced by his recent "Three Kings" performances. "Oh Beautiful" was beautiful with righteous riffs and rhythms. Lighting was coordinated with the points of Joe's prose a practice that was used effectively throughout the Ryman concert. Another technique Joe experimented with was to lead the group into a stark instrumental part as Bonamassa softened his notes to test how attentive his audience was. Then the volume swelled again as he went thundering into high flying leads with the band back in full force. "Nashville, how we feeling? Thank you! Thrilled to be back at the Ryman," said Joe before he introduced the band which included award winning Reese Wynans (keys) who currently lives in Nashville and was once in a group called the Second Coming. Also helping out in the services of Joe's musical message on this night was Nashville musical legend on bass, Michael Rhodes who has played on a voluminous amount of songs throughout his illustrious recording careeer. Anton Fig manned the drum kit coming over to the Bonamassa band after holding down that position on the David Letterman show for the past 29 years. On some occasions Joe shares the spotlight with another guitar slinger. On Monday evening, Jack Pearson the onetime member of the Allman Brothers got to shine on slide and trade licks with the gracious host. "Love Ain't a Love Song" went from subtle to soaring. "Sloe Gin" with its delicate instrumentation allowed the pain filled lyrics to be the central focus as the horns punctuated the points of the tale. "Ballad of John Henry" was the rousing rocker on Monday night with it riveting riffs paired with a heavy bold beat. This song had it all - a slowdown building up to sizzling leads along with some jamming. "All Aboard" with its chugging rhythms closed the show with a mix of solos from the band. 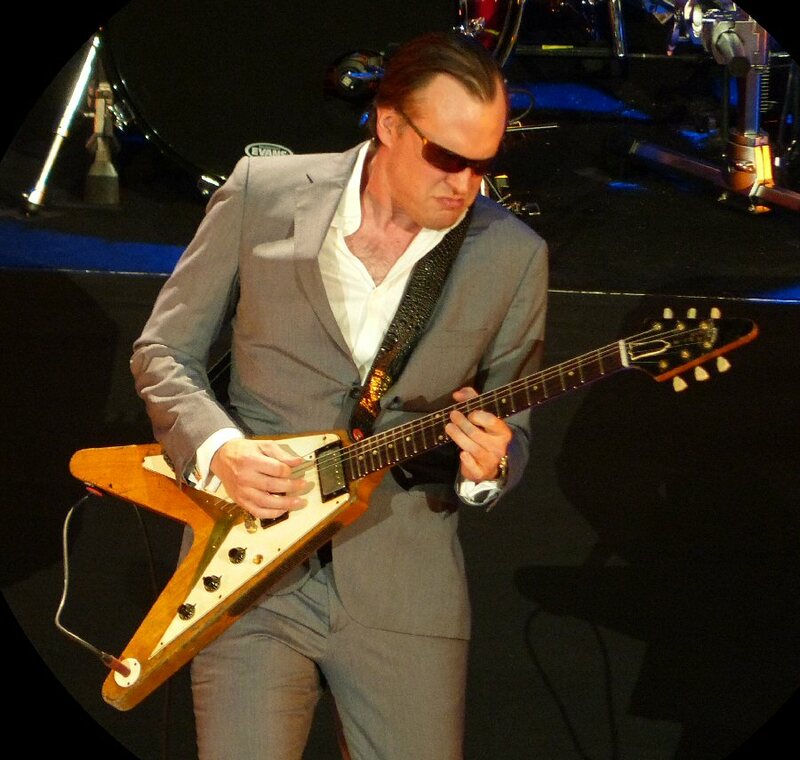 Joe Bonamassa - who opened for B.B King at age 12 - continues to work hard at his craft. In addition to his own chart topping catalogue Joe has collaborated with plenty of other musicians including Beth Hart. 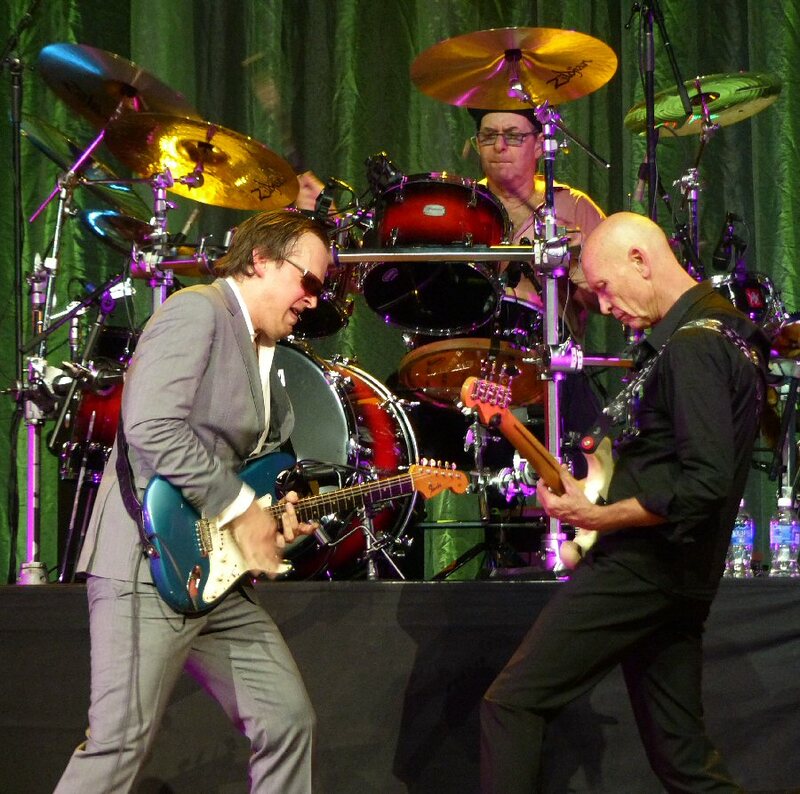 Bonamassa tours relentlessly with the best players in the business. He may not be a talkative performer as he prefers to speak through his various custom and vintage guitars. Joe is a cool cat on stage who prowls with passion and power as he delivers a musical sermon burning with hot leads. On this night the Ryman was his church and pulpit as he poured out the blues yet again. The Ryman Auditorium is the Mother Church of Country Music but her musical off-springs run wide with artists such as Joe Bonamassa. The Grand Ole Opry is current back at the Ryman along with another popular tradition-Amy Grant and Vince Gill's Christmas. Please check out the Ryman Auditorium's calendar for their complete, eclectic list of events and perhaps Joe Bonamassa with be back at the Ryman in 2016 also.